2013 CHARLOTTE TENNIS EXPO IS BIG SUCCESS! Off To The US Open! On Tuesday, January 29, 2013, the Charlotte Tennis Association launched their First Annual Tennis Expo. By all accounts, it was a huge success! 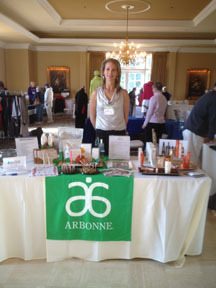 The event was held at Providence Country Club from 10:00 am till 8:00 pm. Before the doors even opened tennis players were already lined up to enter. Once inside, players made their way to the many vendors’ tables where they could check out and purchase tennis gear. Players even brought their tennis rackets and had them restrung on the spot! Players also attended motivating presentations by experts in their field. Attendees were impressed with the relevance of the topics as well as the expertise of the presenters. Vendors were very pleased with the player traffic and large turnout. 400 players turned out for the event with traffic heavy in the morning and evening hours. All had positive comments on the vendor offerings as well as the informational seminars. The following captains won the Captain’s Contest for having the most players attend! We’d also like to congratulate our raffle winners! Our final thank you goes out to our vendors and exhibitors! 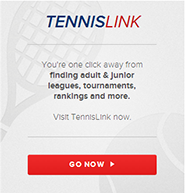 We hope to see you at the 2014 Charlotte Tennis Expo!